The EAP-215D is all about big house sound! Gigging Bands, Karaoke, Mobile DJ's, Night Clubs and houses of worship make this speaker incredibly popular. Easy-to-handle cab features computerized, high-precision, environmentally friendly woodworking; large handles; corner protectors and balanced acoustic design. Tight, punchy lows come from bass reflex technology while crisp (not brittle) HF response is generated by a new 1" titanium driver with 90 degree by 40 degree non-resonant horn. Loaded with 2 beefy 15" premium woofers with 3" voice coils for pumping plenty of low end punch. 1400 watts peak power - dual speakon and 1/4" connectors. 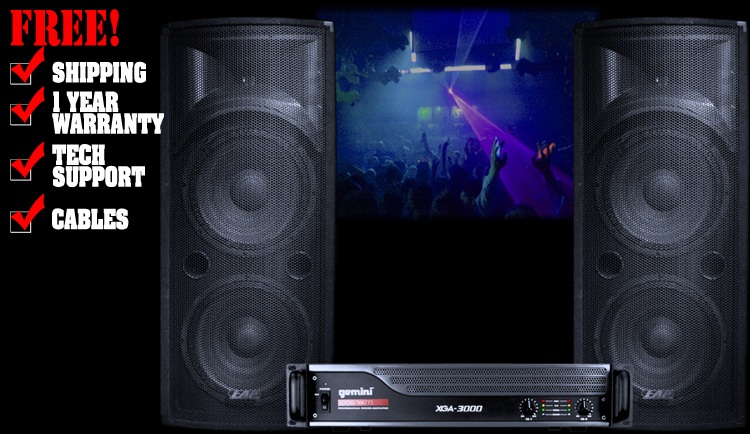 EAP loudspeakers deliver premium quality sound night after night. 48" x 20" x 19"